Many businesses now provide their staff with some form of leisure or team building event at least once during the course of the year, whether it be purely as a social event, like a spring, summer or Christmas party activity to coincide with the more usual get togethers, or to achieve more structured goals in getting their team to get to know each other better away from their desks. 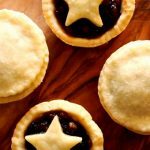 Baking is a great choice of activity for either purpose, because it’s suitable for all types of people in your company, irrespective of their baking experience and their usual interests. It’s a great way to get your team working in pairs or groups too, developing relationships in a non-office setting. Despite common thinking, it is not only big companies with hundreds of staff who do this; smaller businesses can really benefit too and it can be affordable. Our approach to delivering activities is to focus on creating a relaxed, enjoyable environment to enhance team bonds through leisure, based on the theory that encouraging your team to ‘play’ together ultimately enhances their engagement, their ability to work together and achieve common work goals too. This can include a competitive aspect, or just be purely for fun and leisure. If you are looking to achieve more focused outcomes, we can work with you on how to incorporate these within the structure too. There are lots more options too, depending on the time you wish to make available to your team. In terms of hospitality, all our packages include light refreshments and a baked treat, but we can also extend this to include catering at the activity venue or elsewhere. Contact us to find out more! Our baking-focused hen party activities are perfect for the bride-to-be looking for something a little different. Hen parties are designed bespoke to ensure a celebration to remember. 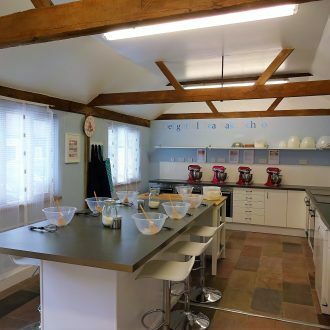 We can accommodate groups of up to 10 guests at our baking studio or can organise venues in Southend on Sea. We are also able to travel to locations across the county and beyond. Activity prices start at £45 per person at our kitchen. Please get in touch to discuss your requirements.